Program Overview: A training curriculum for behavioral health, spiritual care, and substance abuse professionals as well as disaster responders and natural community helpers. The training is one full day in length and will be held from 8:30 am – 4:00 pm. Note: To be eligible for the Maine Disaster Behavioral Health Response Team participants must complete this training. Behavioral Health Response Volunteer and Teams: Teams will be managed at the state level by the Coordinator of Disaster Behavioral Health Services and managed locally by clinical team leaders. The Disaster Behavioral Health Volunteers that make up these teams will be trained to respond to the emotional needs of disaster victims, responders, or community members in local, state, or nationally declared disasters or traumatic incidents requiring a behavioral health response. Teams will be deployed through the state emergency management system. Provide behavioral health, substance abuse, spiritual care professionals and interested community members with the knowledge and skills to respond to the behavioral health and spiritual needs of individuals and their families in the aftermath of disasters and other critical incidents. Build a trained network of disaster behavioral health volunteers throughout Maine. Strengthen the disaster response interface between behavioral health teams and emergency managers and responders throughout Maine. Achieve a workable state of disaster behavioral health readiness in Maine. 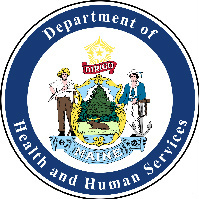 Intended Audience: Mental health and substance abuse providers, nurses, psychiatrists and psychologists, social workers, spiritual care providers, first responders, natural community helpers and other individuals who wish to learn more about the behavioral health response to disasters or are interested in joining the Maine Disaster Behavioral Health Response Team. Complete and submit a DBH Volunteer application. Check, Agency PO, Credit Card or Cash paid at the door. Registration fee or agency PO must be received before admission to the training. Special Accommodations: Deadline for registration is 2 weeks before the training dates. American Sign Language Interpreter, assistive listening devices or other accommodations available upon request. Conference site is ADA compliant. Confirmation: Registration confirmation and site directions will be emailed one week prior to the training. Cancellation: Cancellations must be received in writing at least 48 hours before the start of the training. Late cancellations and No shows will be charged the full $35 fee. 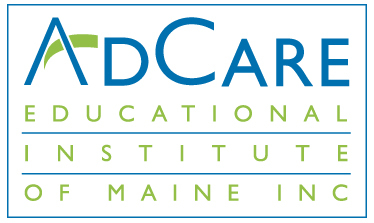 Training supported by AdCare Educational Institute of Maine, a Maine CDC Partner.